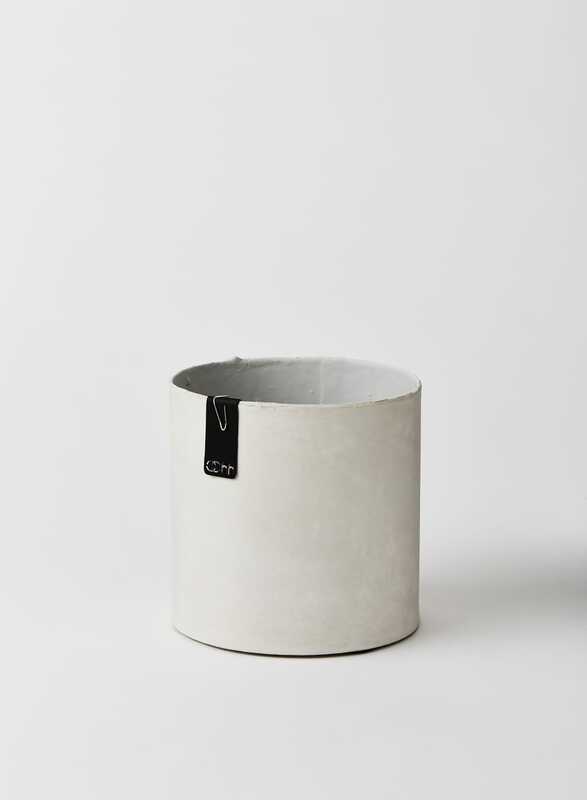 This cylindrical grey eco recycled pot is a stylish addition to our recycled paper OOhh Tokyo range. The collection is made up of 100% waterproof pots and vases. The cylindrical grey pot has a matte 'concrete like' appearance. Material: | Made from recycled paper and natural latex | Bio-degradeable. Care: Rub gently with a damp cloth to clean. Not suitable for outdoor use.